Happy Hanukkah FH Readers!! Oh I love the holidays… it brings together family and friends, there are endless holiday cookies and treats to look forward to, and the twinkling lights and holiday music that fills the stores always gets a smile on my face. 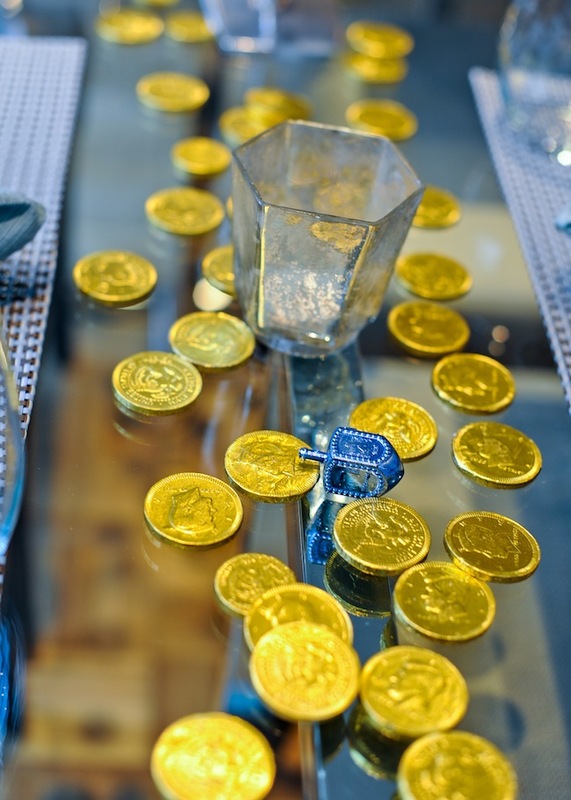 This holiday season, my husband and I decided to incorporate some Hanukkah Holiday cheer into our own home with some easy Holiday DIY decorations. 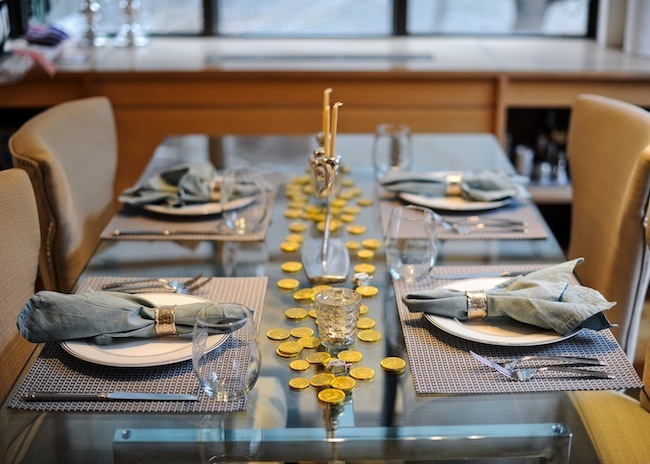 He put white twinkle lights up on our balcony, I placed bowls of Hanukkah Gelt in our entry way and on our coffee table, and I hosted a Hanukkah Dinner for my sisters. 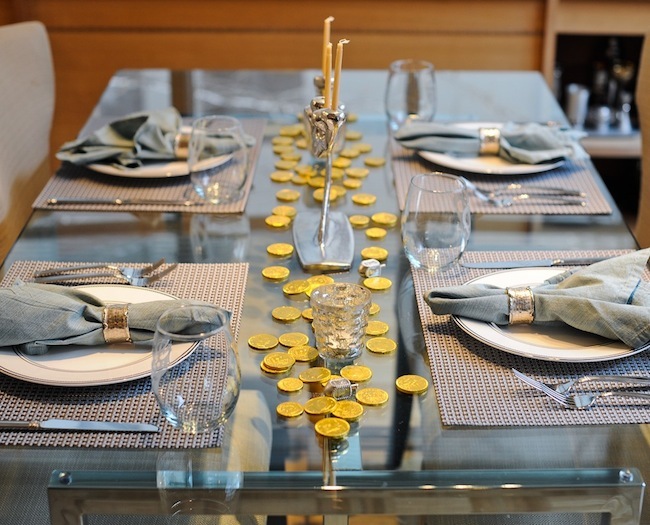 Throwing together a Channukah Table is actually quite easy because a Menorah can serve as the perfect centerpiece! 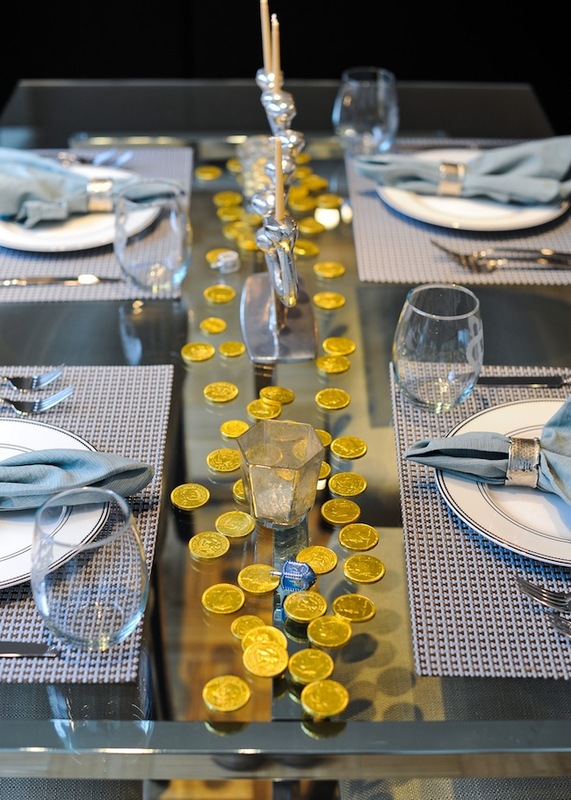 Simply sprinkle gold gelt and dreidels along the center of your table… like a faux table runner, work with blue placemats and napkins, and you are ready to entertain!